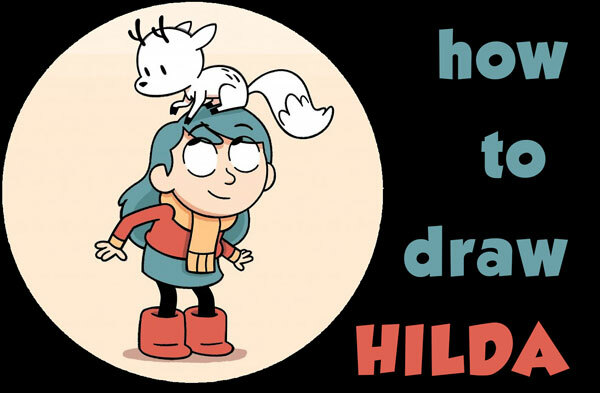 Today I'll help you learn how to draw Hilda and her deer-fox from the Hilda book series by Luke Pearson (it's also a great cartoon show on Netflix). My family has been watching this show this week and we all love it. If you love it to, find out how to draw these beloved characters.